Create and edit both static and dynamic content without technical expertise. Visual Editor means clients can edit by just viewing their site. 'WebApps' allow you to create database driven content with ease and display it anywhere. Total control if you want to jump under the hood (HTML/CSS/JS etc). Built on Platform OS and hosted on Amazon (AWS) gives you total peace of mind and flexibility. Scalable for Small Business to Enterprise solutions. 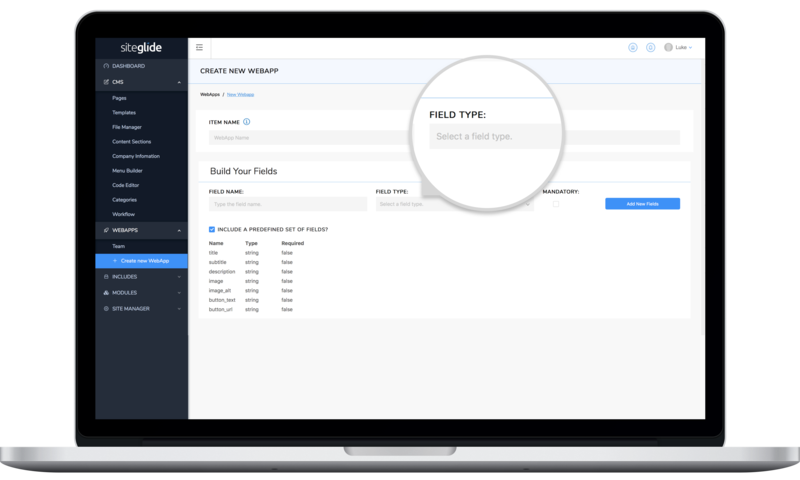 Build and manage bespoke sites and applications with ease. 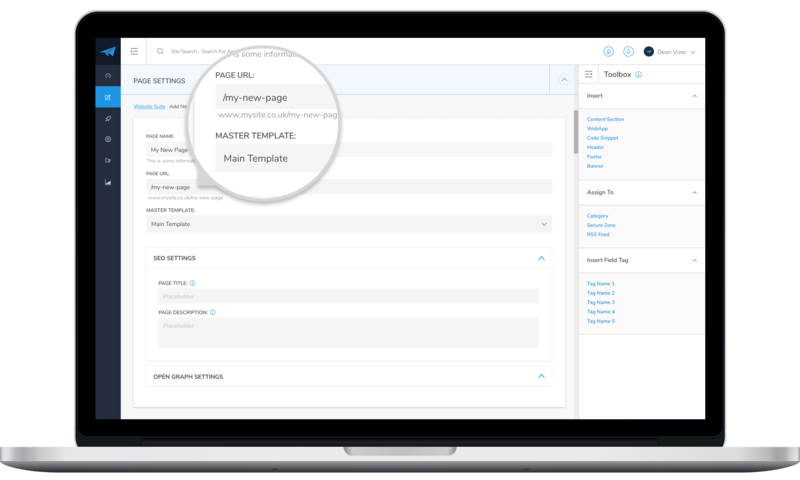 Siteglide lets you build and manage websites without limitations, regardless of size or complexity. From static sites to enterprise level marketplaces and apps. The CMS is disconnected from the website removing dependencies and limitations. This is extremely powerful and the future of the Content Management System. WebApps are one of the best BC features and hardest to replace. The good news is we've gone further and improved them at the same time. You're able to create WebApps with a few clicks, then create items, insert them into pages with the 1-click Toolbox and edit Layouts with the available fields listed for speed and ease. WebApps are the focal point of our Roadmap and we're excited to get partner feedback on where we could take this. Platform OS is a Platform as a Service (PaaS) offering that enables software companies to build flexible and scalable software as well as bespoke end client solutions. We chose Platform OS because of their philosophy to make everything open and integrated via APIs. They use the latest technologies to provide an off-the-shelf stack that is second to none while being scalable enough to handle small SME projects through to complex Enterprise solutions. Siteglide is a Software as a Service (SaaS) web development tool managed through one central online login. It empowers digital agencies and developers to get the most from Platform OS and build out websites and web applications with ease. Our Admin UI interacts directly with Platform OS instances but there is no dependency on it whatsoever which has many benefits. You are not tied into using Siteglide, nor are you limited by Siteglide in terms of what can be built. 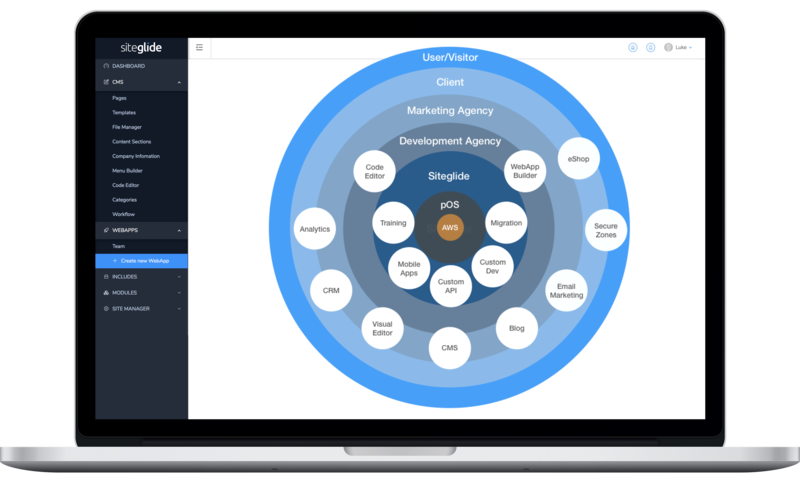 You simply benefit from the Siteglide Admin UI and its ever-growing set of tools both for developers and website owners. Our core Admin CMS for building and maintaining websites onto Platform OS. We will lock-in this plan for all sites that BC Partners put live in 2018. We will also offer this on new sites put live in 2019 to all partners that put at least one site live in 2018. From January 2019 there will be tiered pricing (feature based) but this will start from $50pm (with similar features). Contact us if you have more than 50 sites to migrate within 6 months (our BC Migration tool can help too). We offer Support Packages to assist with training and development. All prices are subject to VAT for European companies. Just some of the features and benefits of using Siteglide coupled with Platform OS. Siteglide is built to work on any device, you have total control over the framework; Bootstrap etc or bespoke. Our Toolbox offers a quick and easy way of inserting sections/content to build out pages. Create and Edit layouts for static and dynamic content all in one place. Alternatively connect via your IDE. Use your Github flow to ensure everything is backed up and tracked. Admin and IDE are both synced. Connect directly to instances using platform-OS Marketplace Kit for more technical users. Use Staging and Production Environments to reduce issues and downtime on live sites. We do not restrict your access to the platform-OS feature set, you have full control over your client sites. Each site runs independently from the CMS meaning there is no dependency on Siteglide for the site to function. All the important features from BC without the limitations. Build scaleable solutions with ease. Partner Portal but NO Partner Fees! All the tools and support you need to manage and build sites. Even customise the CMS to your brand. No $2000 Partner fees! A strong Community ecosystem led by BC experts Adam Cook and Scott Reynolds. Intel, Hallmark and UiPath chose Platform OS for scalability, security, speed and reliability. Use the familiar UI and languages (including Liquid) to replicate BC sites quickly and easily. You'll feel at home in no time! Magically import WebApps to Siteglide directly from your BC sites! Save hours building fields and adding items! Layout Editor will help you update any BC layouts by displaying the WebApp tags right there in the code. We're here to help should you prefer not to migrate sites or need some help with the more technical elements. On our Partners page you will see how we typically work with agencies but we want to offer BC Partners something a little different as we're a strong community and we know your requirements as we're all in the same boat! To become a Beta Tester or discuss becoming a Partner simply join our Community Form and add your name to the list or ask a question using the Live Chat button (bottom right). You're officially an Agency Partner! Become an Agency Partner in 2018 to lock-in the $50pm plan above for any sites that go live in 2018 or 2019. Pricing will not be made public and you will be billed directly meaning Partners can control pricing to clients.